The name of Jesus is more powerful than any evil power! My friend Rami Kivisalo worked with the Russian Mafia and was demon possessed before he gave his life to Christ. Here is a story of how he was set free from the demonic powers. 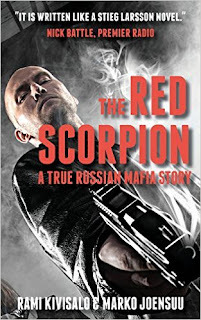 It is an extract from the book The Red Scorpion: A True Russian Mafia Story, which I cowrote with him. Mum, Dad and Happiness formed a half-circle around me. “Can you kneel on the sofa?” Happiness asked me. I obliged and closed my eyes. I felt hands on my head and shoulders. She kept repeating that. And somewhere deep inside me, the beast woke up. “No! No! No!” it screamed through my mouth. I was thrown onto the floor and lay there for a while on my stomach. Then the power I had been aware of in my life since I got the red scorpion tattoo began making kung fu punches with my arms. I crawled on the floor, oddly ashamed that my parents were seeing me in such a state. Every time Happiness repeated her prayer, I felt as if someone had lashed me on the back with a whip. It was surreal. What was happening was outside my control. I could feel the rage of the beast inside me. It wanted to tear Mum, Dad and Happiness apart, but had no power to do so. While understanding fully what was going on, I felt contradictory emotions. On one hand, the beast inside, the demons, were fully riled with rage and anger. This was being expressed through me. At the same time, I was silently crying out to God to help me. I’ll not leave! it screamed inside of me. I struck the floor with my hand with such force that the whole house shook. The rage inside me became a tsunami. I’ll not leave! it screamed again, now with a tone of despair. I punched the floor again. The beast or beasts were determined to ignore the notice they had been served and held fast onto the deep recesses of my soul. Yet even deeper inside, I screamed, Jesus! Help me! Set me free! They told me later my face was distorted into that of a wild beast, that I hissed like a cave filled with a hundred cobras and that my eyes were transformed into piercing snake eyes. The beast was now manifesting itself fully, taking total control, as it recoiled against the whip of Happiness’ prayer. I guess a lot of folks would have been afraid at the sight. Happiness just kept on praying. “Demonic powers, I command you to come out of this man, in the name of Jesus!” Her prayer hit my body so strong that it felt like a bullet shot at point blank range. “Satan!” I heard a chilling voice come out of my mouth, as whatever it was left my body past my lips. I was free, fully myself for the first time in many years. I could not believe the relief I felt. I still felt embarrassed by what had taken place, but was overjoyed that the beast inside was gone. My sister and brother, Lea and Juha, now both married, brought their spouses for Sunday lunch. It had been many years since I had been part of any family gathering, and once again I felt deeply embarrassed. All of us sat at the table in Mum and Dad’s house—a regular thing for most people, but not for me. I did not know what to say, so I focused on the steak on my plate. It was pretty clear my siblings were not used to this either. “We cast evil spirits out of Rami,” Happiness said suddenly. I could feel all eyes on me. I glanced up at my sister and brother. This was hardly a conversation topic they could have been expecting. They knew about demons, since they read the Bible, but casting them out of someone was something Jesus did in the past tense. Yes, as Pentecostals they believed that people can become demon-possessed, but that was something that happened to witches, not to your own brother. 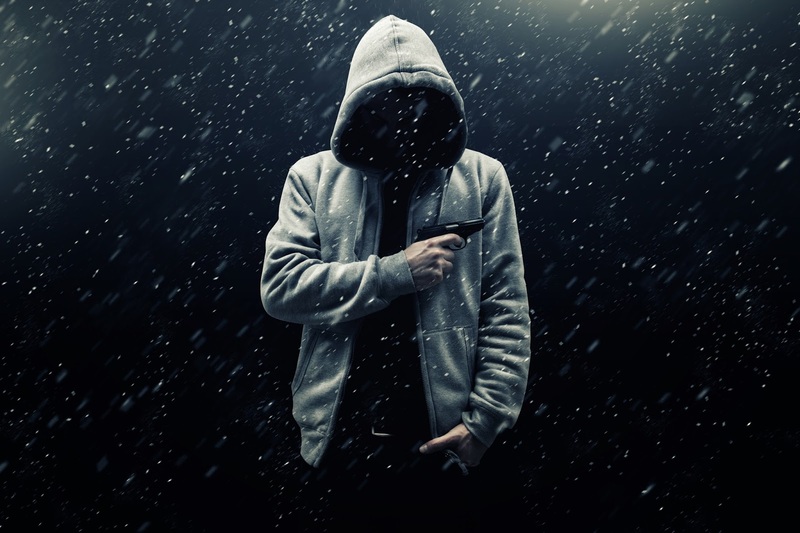 They knew about the violence that had manifested in my life. They even knew about some of my crimes. But they had no idea how deeply I had walked in the darkness. Now here was Happiness, talking about casting out demons as if it were her everyday experience. Warm and salty tears began to roll down my cheeks and make their way onto my lips. Slowly they formed brooks and started falling onto the table. I looked around and saw that everyone else was crying, too. Strangely the tears washed away the discomfort I had experienced sitting at the table with the whole family. I felt a new feeling—pride for Mum and Dad, my sister and brother. When my brother got married I had been in prison. Although the warden would have let me attend the wedding, I had no interest in turning up handcuffed to guards. It seemed clear that he did not mind about my absence. The tears in his eyes told that the most important thing to him was that I had come safely back home. For the first time in years, I felt a real connection with my family. The beast had been forced out of the way and my emotions now had the space to roam freely. I felt like the prodigal son. The main change in the story was that not just my dad but also my brother and sister had welcomed me with open arms.